Shirley “Aunt” Jeanne Durran, 72, of Great Falls, passed away unexpectedly on Thursday, February 7, 2019. A Memorial Service will be held Friday, February 15th at 11:00 A.M. in the Rose Room Chapel at Croxford Funeral Home. She will be buried in the Manchester Cemetery at a later date. Born November 15, 1946 in Great Falls to Seymore and Elsie Wilson Durran, Shirley attended local schools, graduating from Great Falls High in 1965 and continuing her education at the College of Great Falls. She lived in Mesa, AZ, Dayton, OH and Great Falls, working as a Civil Service employee for the U.S. Air Force, retiring in 2002. Shirley participated in community events and was active in the Great Falls Community Concert Association and the Elks Club. She enjoyed traveling, camping, and tracing ancestry. She was a NFL Cleveland Browns fan and loved baseball. 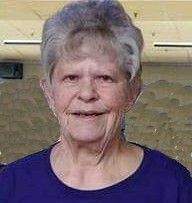 She loved bowling, participating in three different leagues weekly, was League Secretary, and achieved induction into the Ohio and Montana Bowling Hall of Fame. As active as she was, her family always came first. Survivors include her beloved cat, Patches; nephews, Duane, Raymond, Charles, Edward, Robert, Earle and Lawrence; nieces, Beverly, Cheryl, Patti and Barbara, as well as numerous great-nieces and nephews. She was preceded in death by her parents; sisters, Lois (Joseph) Feist, Marilyn (Charles) Jones and Norma (Ronald) Robinson; brother, Robert Durran; nieces, Janice (Jim) Tuten, Marcia Baker and Kathleen Hartwig; nephews, James Robinson and Donald Feist; her beloved cat, Snowie. The family suggest donations be made to the Pet Paw-See, P.O. Box 6491, Great Falls, MT 59406.